NATULIQUE’s California distributor Roya Adjory has been fighting for this for years: On September 18th, the government of the US state has finally signed AB 2775 – a bill that requires manufacturers of professional salon products to disclose ingredients directly on the label. For Roya, this is not only a personal victory but another step in fulfilling NATULIQUE’s vision of a healthier and more sustainable beauty industry in the future. Salon workers are exposed to their professional cosmetics for 8-10 hours a day – a lot more than the time a private consumer is in touch with retail products at home. Research has shown that professional salon products can contain ingredients linked to cancer, birth defects and respiratory issues. Notwithstanding, the Californian ingredient disclosure legislation for professional products has been shockingly loose: So far, only retail products had to disclose all ingredients directly on the packaging. Thanks to the work of NATULIQUE’s California distributor Roya and many other activists this deficiency finally changed on September 18th, when California Governor Jerry Brown signed into law AB 2775. Professional cosmetics manufactured on or after July 1, 2020, for sale in California must now show a list of ingredients on their container. Roya has been NATULIQUE’s distributor in California for three years now and owns the very first certified green hair salon in LA, Nori’s Eco Salon. “The reason I turned my family business green 15 years ago was due to many ailments my family and I experienced, mainly because of all our exposures. I also wanted to enable other salon workers to avoid ingredients they are concerned about and choose safer products. Passing this law was, therefore, extremely important to me”, she says. 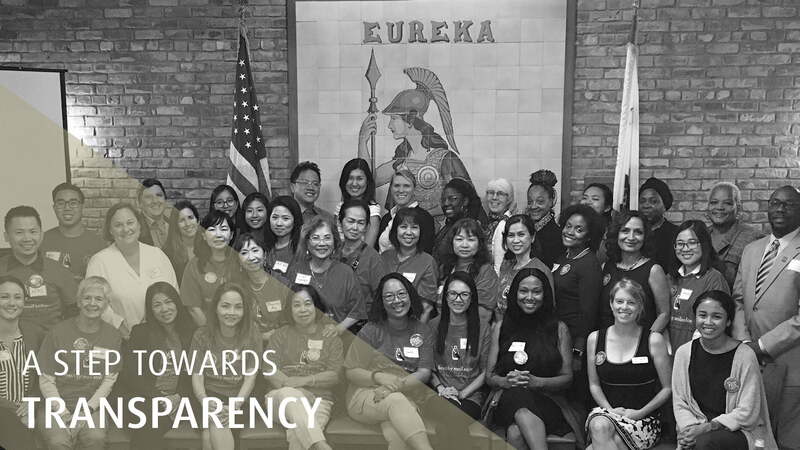 The bill was a major group effort and co-sponsored by several engaged organisations such as Women’s voices for the Earth, the California Healthy Nail Salon Collaborative, Black Women for Wellness and Breast Cancer Prevention Partners. Roya has committed herself to the cause in various capacity. “I did everything from physically going to the state capital and telling my story to collect signatures, sending out postcards and other administrative tasks”, she told us. The law is an important step for salon professionals’ health in California and across the nation. But Roya doesn’t want to rest on her laurels. “I believe there is still so much to do towards a healthier future and we in the NATULIQUE family, all our stylists and distributors, are about to change the world one head at a time”. In August this year, Roya donated 5% of her total revenue to the Women’s Voices for the Earth. If you want to read more about the new law and Roya’s work, pay her a visit on www.norisecosalon.com.